I don’t know if I’ve told you this before but I live in a beachfront apartment. This means that come the weekends, as I open my windows all I smell is BBQ food and hear…well loud music and laughter. 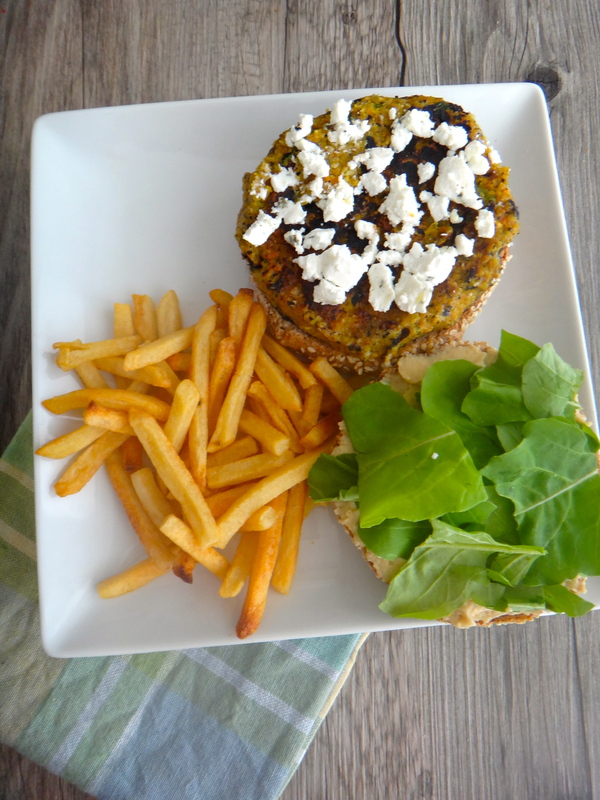 Couple that to a very stressful month and womanly cravings….I had to create another meatless burger. And this time bake some french fries to go along with it. 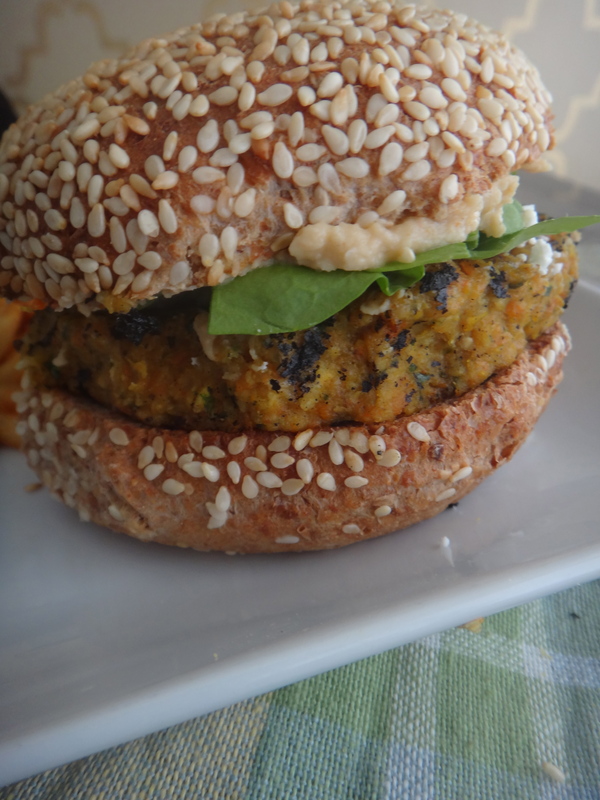 This recipe was inspired by an oatmeal burger I tried once in an all inclusive hotel in Punta Cana. 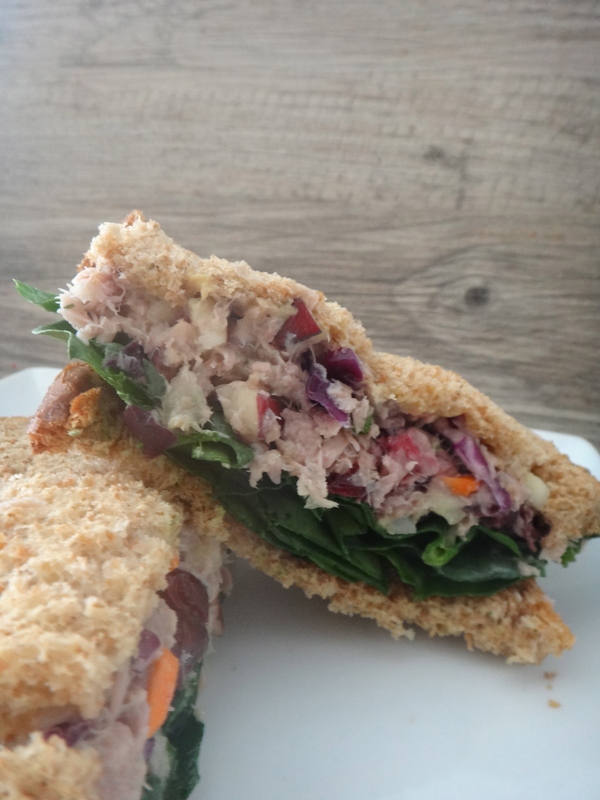 It was so genius an oatmeal burger…Oatmeal itself is a powerhouse/heart healthy food with a low glycemic index will keep you feeling fuller longer. 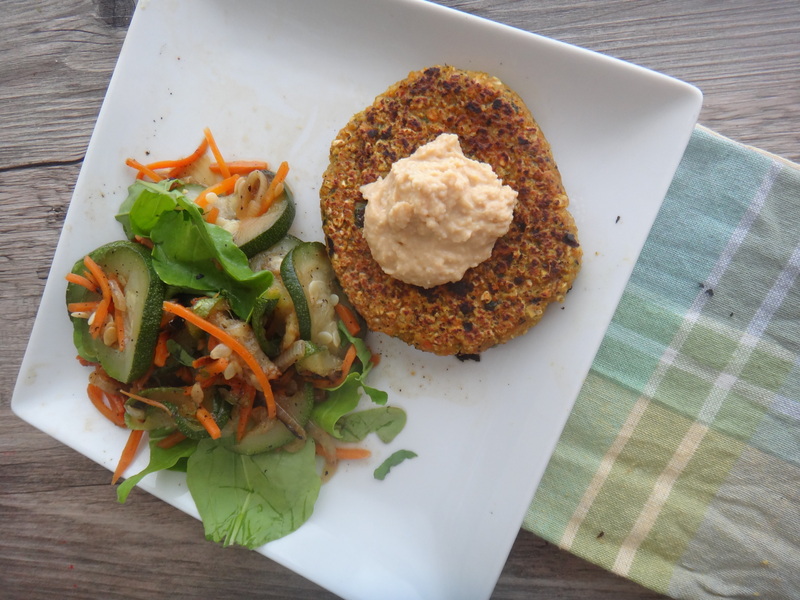 Plus I’ve never made a bean free veggie burger before… adding hummus on top doesn’t count. Right? Nevertheless I wanted to get creative and try something new. I am very pleased with the results and will definitely continue experimenting with oatmeal burgers! The great thing about these patties are that they are very versatile. 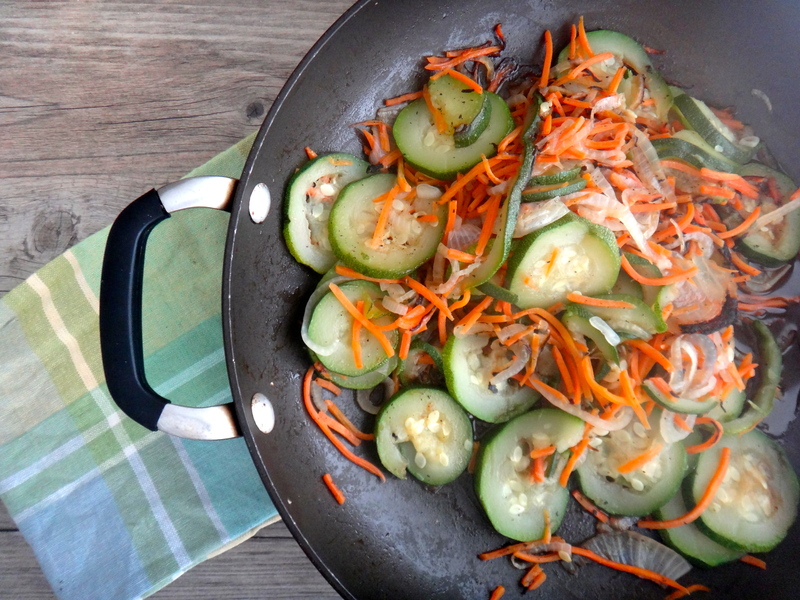 I ate them with some side veggies and fries and tucked into a lunch wrap the next day. My husband had a full on burger (details below) and then added the remaining patty to leftover pasta the next day. 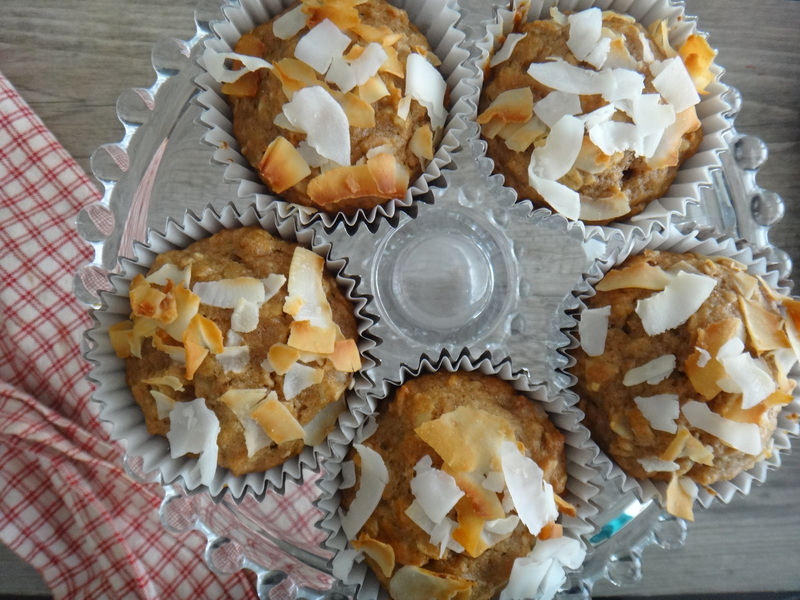 Each patty is around 204 calories.However this depends on the brand and type (steel cut, old-fashioned, instant) of oatmeal and whole wheat breadcrumbs you use… And of course the toppings and extras you use! Heat 1 tsp of oil in a large non-stick pan. Add the chopped veggies. Sprinkle with salt and pepper. Toss and cook until the onions becomes transparent, about 5-7 min. Add tablespoons of water, one at a time to aid the caramelization process. Set aside and let cool off to a nice room temperature. 2. 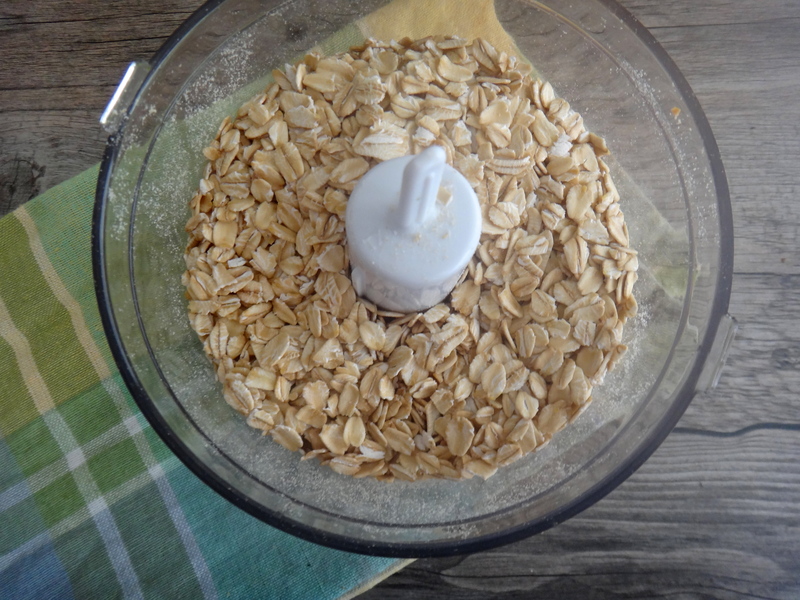 MAKING THE BREADCRUMBS: Open a package of whole wheat soda crackers and toss inside (break into smaller parts with your hands if necessary) a food processor. Add the rolled oats. Grind until smooth. 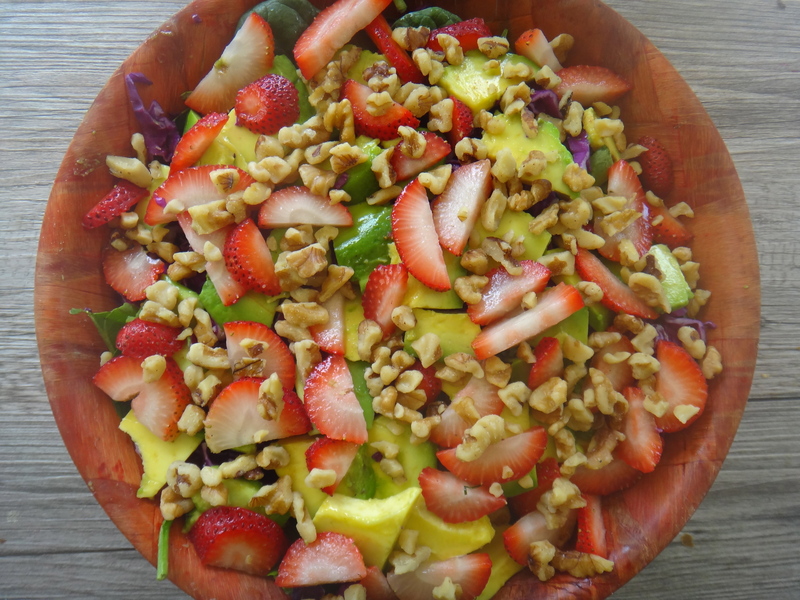 Set apart in a bowl. 3. 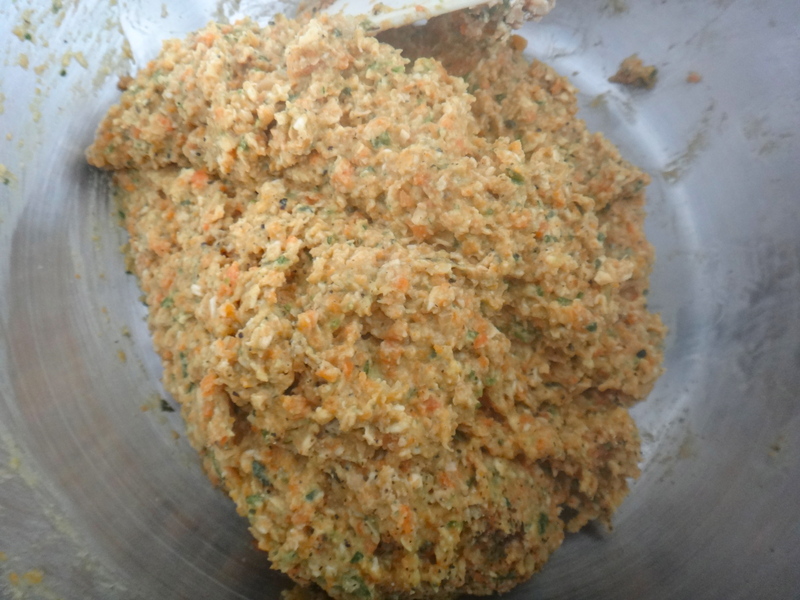 MAKING THE BURGERS: grind the vegetables in a food processor until creamy and paste like. Don’t worry if they look kind of runny the breadcrumbs will help add consistency. 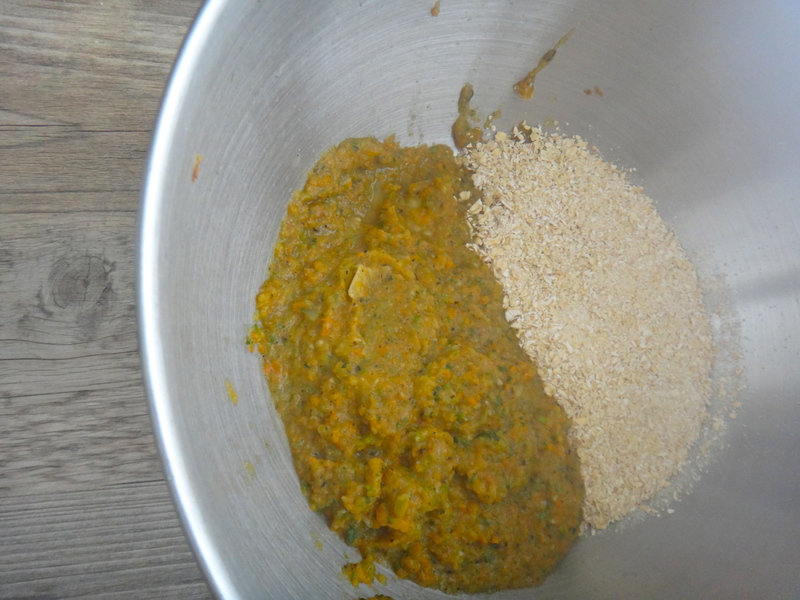 Pour the veggie paste over the breadcrumbs and mix by hand until combined. Add all of the remaining seasonings. Mix until smooth. NOTE: if the burgers are still to sticky to handle try refrigerating the mixture for 1 hour or tossing in some extra breadcrumbs, flaxseed meal or ground nuts. 4. 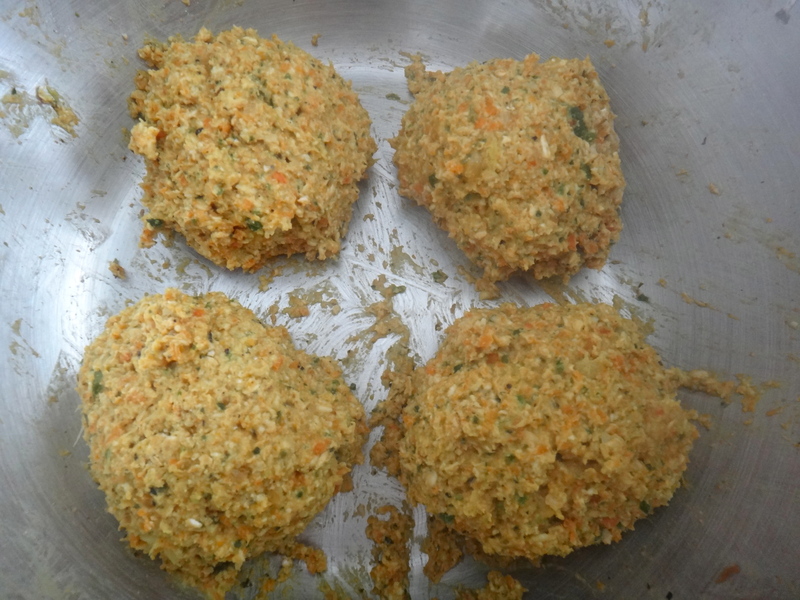 Shape the mixture into 4 patties. Heat a non-stick pan with 1 tsp of olive oil. Add 2 burgers and cook each side until brown and firm. It should take about 2-3 min per side. 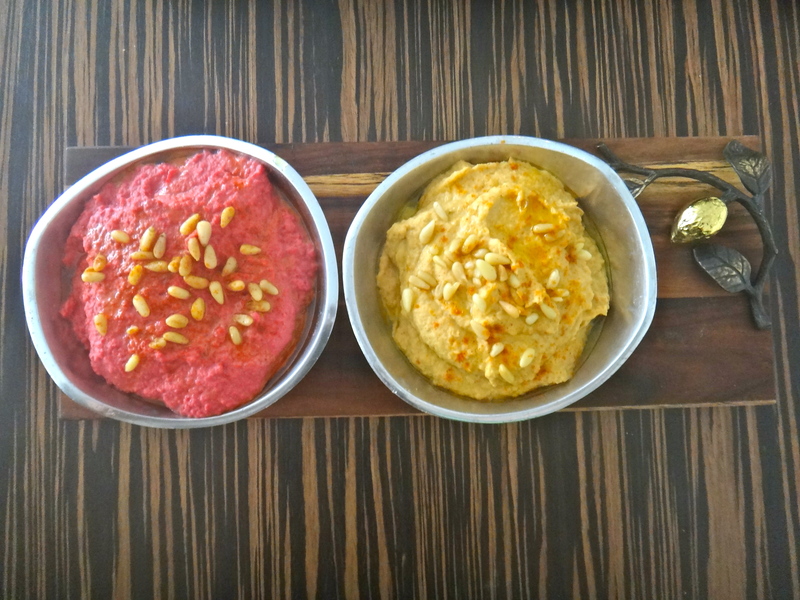 *For the low calorie version – spread some hummus on top and eat with a nice salad or cooked veggies. 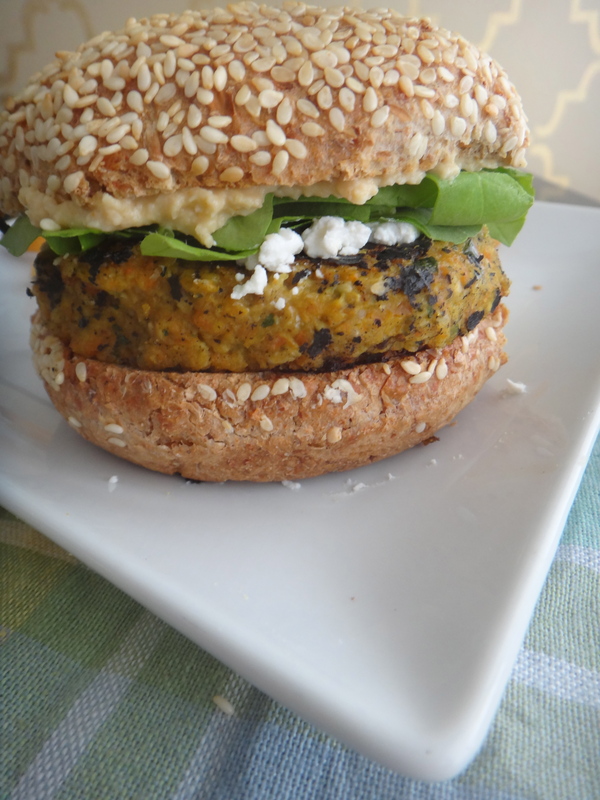 *For the complete burger version – add some whole wheat or gluten free buns, spread some hummus, add arugula..and enjoy!! Add cheese if you wish or keep it a vegan meal! The hummus really adds some creaminess and escalates the protein content so no cheese is really required! 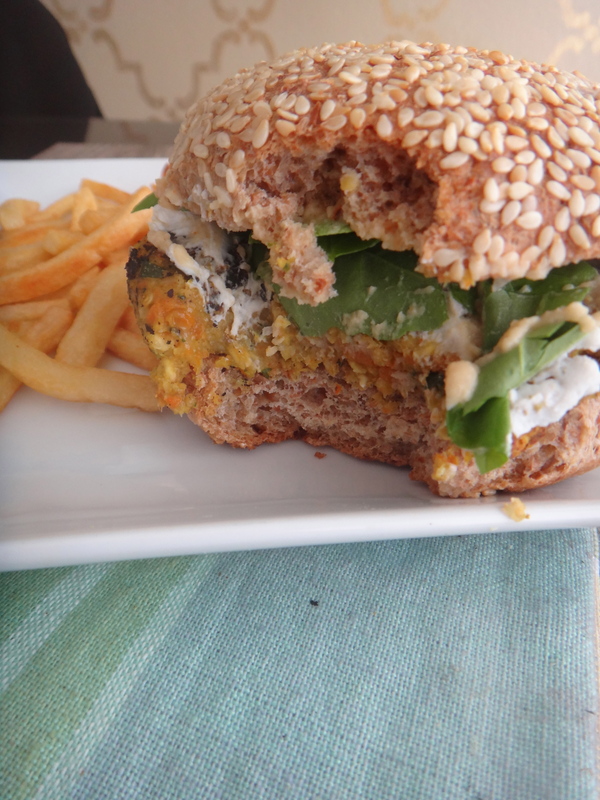 However in the pictures you will note a crumbly cheese – it’s goat cheese (my husband’s favorite kind)…and of course he had to add it to his burger depicted below! I served this with oven baked french fries. 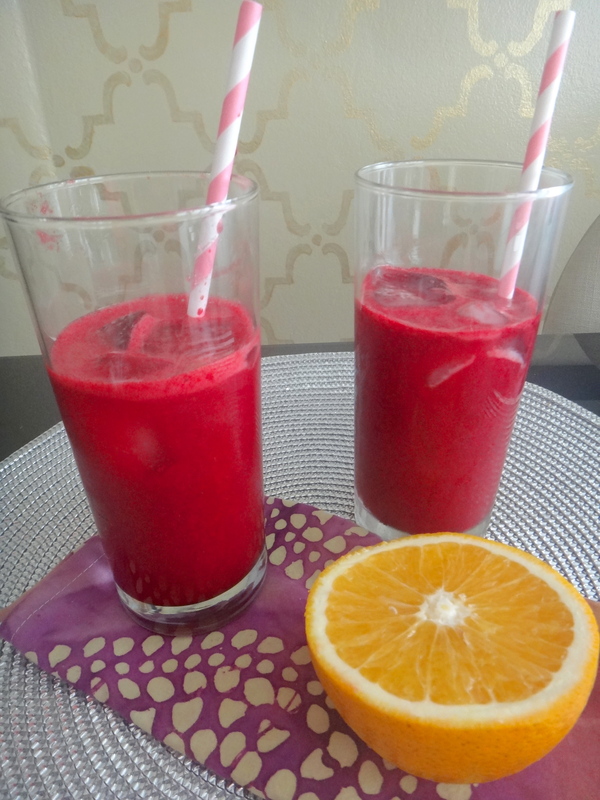 It was one of those weekends were my body was craving comfort food/fried food…so this is the healthier version of that! … do you often crave burger and fries? If so… Do you give into those cravings or behave?! Post below!